Orthopedic issues can impact your life tremendously. Ongoing, untreated bone and joint problems can lead to discomfort, injury, and can even prevent you from enjoying daily activities. Experts have shared a few helpful reminders that could help you alleviate orthopedic problems and promote good bone and joint health long into the future. First, don’t forget to stay active! Daily exercise is critical for maintaining strong bones and joints, as well as for keeping yourself in shape and in better health overall. It’s important to assess your abilities and to ease into a routine that suits your body and your lifestyle, especially if you are not someone who regularly exercises. For strengthening exercises, low impact is key. Avoid lifting heavy weights or high impact cardio, which could put unnecessary strain on joints. Stretching and cooling down are important steps, as well. Stretching will help increase mobility and flexibility, and cooling down will help prevent soreness and post-workout injuries. Second, make sure that you are thinking of orthopedic health when you go shopping. Many fashionable shoes look great but could be uncomfortable and unsupportive, throwing your feet, back, and everything else into a world of pain. High heels can place stress on ankles, and tight shoes can lead to foot and toe deformities and other problems. Restrictive clothing can inhibit flexibility and circulation. Also, consider using a suitcase or briefcase with wheels, or a smaller bag or purse, to promote better posture and spine alignment. Your mattress and pillows deserve extra consideration, too. Supportive sleep is essential for overall orthopedic health. Third, maintain a diet with an eye on your orthopedic health. Think of your Calcium and Vitamin D intake. Dairy products, eggs, and fish containing “healthy” fats are reliable sources of Calcium and Vitamin D. Since Vitamin D is sometimes hard to come by in foods, reasonable doses of sunlight are a good source. Taking a high-quality Calcium and/or Vitamin D supplement is recommended. Finally, be on the lookout for pain and strain. If you notice any changes in your bone and joint health, treat the swelling with ice, get plenty of rest, and make an appointment with a trusted orthopedic specialist. 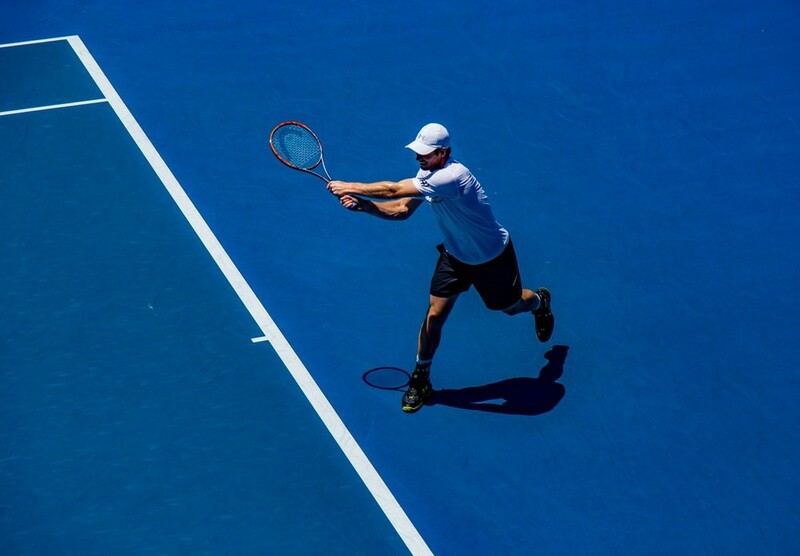 The Orthopaedic Specialists of Connecticut team is fully committed to helping you maintain orthopedic health and prevent injury so that you can lead a full and pain-free life. If you are experiencing any signs of decreased mobility, injury, or if you have any concerns about your bone and joint health, give us a call at 203-775-6205. 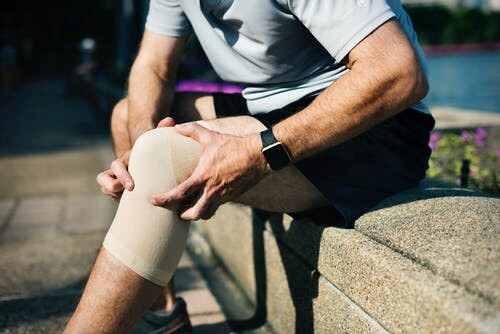 You can also find more information about our services by visiting the Orthopaedic Specialists of Connecticut website. Can Physical Therapy Reduce the Need for Painkillers? You’ve seen the headlines, but how did we get here? 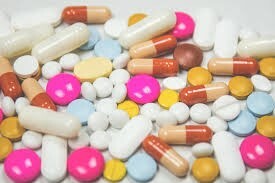 The American Physical Therapy Association says in an official report, “The ongoing opioid crisis in the U.S. reflects the unintended consequences of a nationwide effort to help individuals control their pain.” The association further notes, “The health care system, since the mid-1990s, employed an approach of pain management that focuses on the pharmacological masking of pain, rather than treating the actual cause of pain.” The end result? A dramatic increase in opioid addiction, and the growing realization that current strategies for managing pain have to be changed. At Orthopaedic Specialists of Connecticut, we’ve treated a lot of physical injuries & chronic pain over the years. During that time, we’ve found physical therapy in our Brookfield, CT facility is one of the best ways to make patients move better, feel better, and hopefully, have less reliance on pain-killers in the long run. Our professional opinion is backed up, not only by our experience but in a recent analysis of nearly 90,000 private insurance claims recently published in the peer-reviewed JAMA Network Open Medical Journal. It found “taking part in at least one Physical Therapy Session within 90 days of diagnosis resulted in up to a 10% reduction in how many pills a patient consumed.” Imagine what a series of PT sessions might do? After being prescribed a series of PT visits generally comprised of strengthening exercises, pain-relief exercises, stretching, low-impact aerobic training, and/or a combination of heat and ice packs, we’ve seen patients experience improved mobility, faster healing and a better quality of life. To be clear, painkillers, when managed properly, do serve a useful purpose. In cases of extreme pain, we believe opioids can be prescribed as a first strategy in measured amounts, paired with information on the risks of addiction. We then urge the patient be advised of the benefits of physical therapy for treating pain and to prevent the onset of chronic pain – which, quite likely, would reduce the need for prescription painkillers. Interested in finding out if Physical Therapy in our facility located in Brookfield, CT could be of benefit to you? Schedule an appointment at Orthopaedic Specialists of Connecticut. Our talented team of orthopaedic doctors can diagnose medical conditions, answer your questions and write a prescription, if appropriate, for physical therapy. Before you leave our website, click on “our team” to meet our doctors, and choose physical therapy under “services” to find information on our PT staff. Click on “patient education” along with “links & resources” for a wealth of health information right at your fingertips, 24/7. You probably know smoking has been proven to cause life-threatening health issues such as lung cancer, heart disease, COPD, asthma and low-birth weight in babies. But did you know, smoking can have a serious impact on your bones? It’s true! Increasing evidence has emerged over the years that shows tobacco exposure, both directly and passively through second-hand smoke, has been shown to have a detrimental effect on the musculoskeletal system. So what does smoking do to the bones? According to the American Academy of Orthopaedic Surgeons, researchers have detected increased bone loss and lower bone mineral density in smokers compared to non-smokers and former smokers, and an increased risk of osteoporosis-related fractures including hip, leg, arm and spine fractures. People who smoke face an increased risk for other musculoskeletal problems including increased chronic pain in the neck and lower back; increased rotator cuff tears and shoulder dysfunction with lower healing rates and poorer outcomes following rotator cuff repair. Smokers also have a higher risk of suffering from inflammatory, auto-immune diseases such as rheumatoid arthritis and lupus. But wait there’s more! Research has also found smoking can seriously impact bone healing after surgery and we concur! 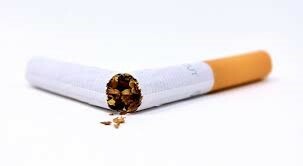 At Connecticut Orthopaedic Medicine, we urge patients to quit smoking before surgery because we believe patients who use tobacco have a harder time healing after total hip and knee replacement. In fact, the risk of wound healing problems and infections after surgery is more than double in smokers; with some tobacco users taking twice as long or longer to heal their fractures. In extreme cases, the broken bone may not have enough blood flow to heal at all! That’s what called a non-union and it can be very painful. So what is a smoker to do? Start by quitting. According to the National Institutes of Health, smoking cessation, even later in life, may help limit smoking-related bone loss. Click on the links for advice on how to “break the smoking habit” and read on for some extra tips to keep your bones as healthy as can be! Quitting smoking aside, there are other steps you can take to increase your chances of having strong, healthy bones. Make sure to eat a well-balanced diet rich in calcium and Vitamin D and avoid excessive consumption of alcohol. Exercise to build bone strength and talk to your doctor about a bone-mineral-density test. This test is easy and painless and can detect osteoporosis before fractures occur; as well as predict one’s chances of fracturing a bone or bones in the future. There is no cure for osteoporosis but there are medications available to prevent and treat the disease in post-menopausal women and men. Ask your physician for details or contact Connecticut Orthopaedic Medicine for more information. Here’s to the health of your bones! A new, non-invasive knee procedure could bring some relief for patients suffering from debilitating chronic pain, for whom surgery is not an option. Golfing is a fun and competitive sport for people of all athletic abilities to enjoy. Whether you do it recreationally or competitively, the American Academy of Orthopaedic Surgeons (AAOS) and the American Orthopaedic Society of Sports Medicine (AOSSM) want golfers to stay injury free and take advantage of the health benefits of the sport. New research on using opioids before knee surgery. It’s important to discuss a pain relief plan with your doctor. Learn more about how to #ManagePain w/ #PrescriptionSafety tips. If your knees creak and pop, the noises could be an indicator of early arthritis, even if the joint does not hurt, according to one of the first long-term studies of the association between noisy knees and joint disease.